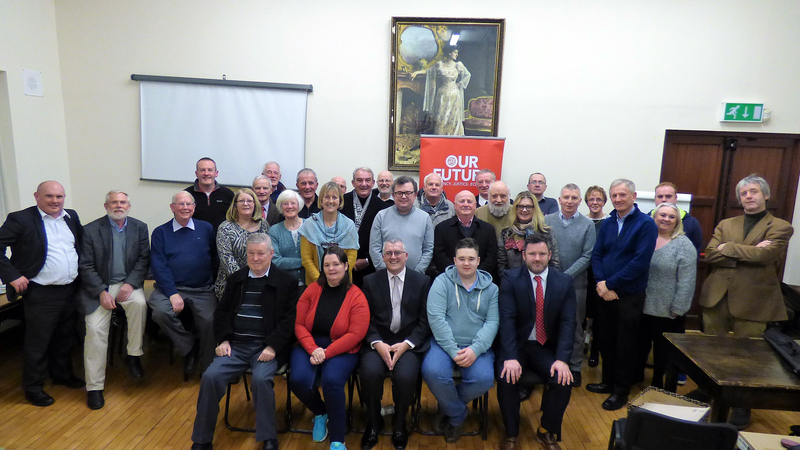 The Labour Party has selected Cllr John Pratt to stand as its candidate for the Waterford Dáil constituency in the next general election when delegates from branches in Waterford city, Tramore, Dungarvan and elsewhere around the county gathered at Connolly Hall in Waterford on Thursday last. Two names went before the convention for the single candidacy recommended by the National Executive. Cllr Pratt, who has been the Labour Party’s sole member on the merged Waterford City and County Councils since the last local elections in 2014, won the nomination ahead of Brendan Byrne – the latter being an area representative for the party in the Ferrybank, North City and Tramore electoral area. Speaking after his selection, Cllr Pratt said that he was delighted to get the opportunity to now put his and the party’s case to the Waterford constituency to become one of its four TDs. He also paid tribute to his party colleague Brendan Byrne, whom he said he would be working closely with and hoped to see become a new councillor at the next local elections due in 2019. In the meantime, Cllr Pratt said he would continue to diligently serve the Dungarvan and Lismore electoral area as a councillor but would also be ready to represent the Labour Party whenever the general election was called. Cllr Pratt added that being the sole Labour Party representative on the merged city and county authority, afforded him considerable insight on matters important to fellow Waterford people throughout the city, the bigger and smaller towns, villages and rural parishes throughout the constituency. Delegates from branches in Waterford city, Tramore and Dungarvan who gathered in Connolly Hall on Thursday, November 30. “A youth club, two hall committees, badminton, tennis, the GAA, the Credit Union and a local community council were spheres of activity in which I met a lot of people and got involved in getting things done. Despite a good vote received in my first local election in 2004, I didn’t make it on to the County Council. Cllr Pratt said in the Waterford constituency, when it comes to arguing for the creation of jobs and investment in infrastructure, for improvements in local services and amenities throughout City and County, he is the only Labour councillor at the table.